The Geneva Riverside Group helps to provide clients with the freedom to pursue life enriching endeavors by utilizing a financial planning process to help them achieve their goals. The team takes the time to understand what clients want to accomplish before creating a financial plan, then structures a portfolio that will achieve the right balance of risk and return relative to their situation and desired outcome. They then implement an active review process to monitor progress and to make any necessary adjustments as clients prepare for and transition through their stages of life. The two lead advisors have earned the Portfolio Manager designation which qualifies them to utilize additional money management tools and resources on behalf of clients who would prefer to delegate ongoing portfolio management decisions to their financial advisor. The individuals mentioned as the Portfolio Management Team are Financial Advisors with Morgan Stanley, participating in the Morgan Stanley Portfolio Management program. The Portfolio Management program is an investment advisory program in which the client's Financial Advisor invests the client's assets on a discretionary basis in a range of securities. The Portfolio Management program is described in the applicable Morgan Stanley ADV Part 2, available at www.morganstanley.com/ADV or from your Financial Advisor. 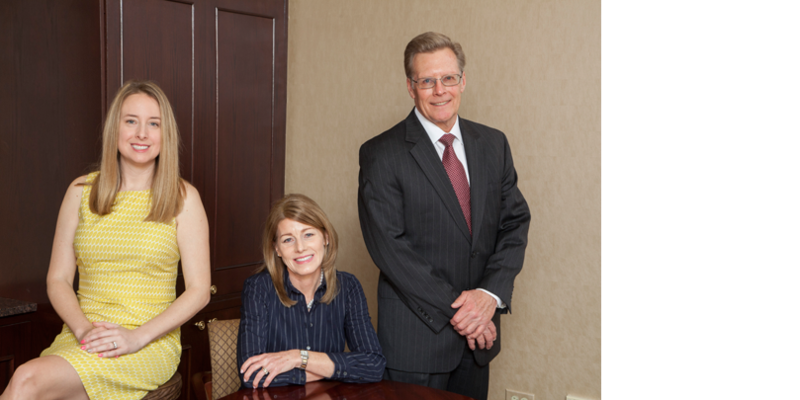 Their dynamic team of three financial professionals with over 70 years of combined experience works with a diverse client base including individuals, multi-generational families, corporate executives, business owners and retirement plan sponsors. While each member of the team has unique strengths and qualifications they are equally responsible for servicing all aspects of the client experience. Clients can expect a high level of service and accessibility from The Geneva Riverside Group as they work hard to earn and keep their trust. Cheryl Snook works with individuals and plan sponsors desiring a financial professional that will implement sound plan strategies and put their interests first. She has a passion for helping clients navigate the complexity of the financial markets and achieve their goals. Cheryl has been in the financial services industry for more than 27 years. She has significant industry experience from a diverse group of financial institutions and joined Morgan Stanley in 2002. Cheryl earned her Bachelor of Business Administration in Finance from the University of Wisconsin at Eau Claire. She was named to Morgan Stanley’s Pacesetter’s Club 2011-2016, a global recognition program for outstanding performance. Cheryl is also a Certified Investment Management Analyst (CIMA®) earned through rigorous experience, coursework, examinations and ethical requirements. Cheryl and Michael, her husband of 25 years, enjoy spending time with family. Their son is a recent college graduate and now a commissioned officer in the U.S. Army, and their daughter is a student at Indiana University Kelley School of Business. Cheryl has actively volunteered through the school system, including a PTO past President and long-standing board member for the St. Charles Education Foundation. 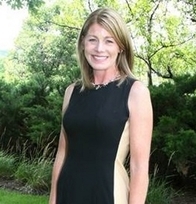 Additionally, she serves as a judge in the InvestWrite competition for the SIFMA Foundation. 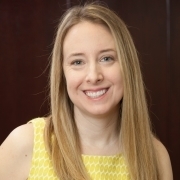 She supports Fox Valley Hands of Hope and is actively involved in her local chapter of Women of the Western Suburbs, an educational, networking and social organization for women in finance. Jim is passionate about serving his multi-generational clients and enjoys assisting them in achieving their dreams and ambitions. He finds it very rewarding to watch as they mature and use their resources to help and motivate others. 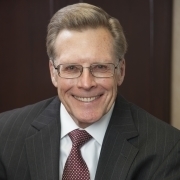 As a financial advisor with Morgan Stanley for more than 32 years, he has experienced both challenging and rewarding market cycles and offers clients a seasoned perspective that helps enable them to achieve their financial goals. Jim earned a Masters in Molecular Biology and a B.S. in Biology from Northern Illinois University. In recognition of his commitment to clients, he is included as a member of Morgan Stanley’s Presidents Club and Directors Club. Additionally, Jim is a veteran of the United States Air Force. Jim is an outgoing person who enjoys the full spectrum of outdoor activities with his wife Therese and their daughter Katherine. He is an avid trout fisherman, and likes hiking in the mountains of Colorado, skiing, golfing and maintains an active lifestyle. He loves to share his interests with others and appreciates the opportunity to broaden his experiences by sharing others’ interests as well. Jim is an ardent reader, preferring books about historical individuals and events. He is also an active member of the Northern Illinois University Alumni Association. In her free time, Holly enjoys camping and traveling with her husband Matt, and her daughters Karleigh & Ella. She also enjoys reading , listening to live music and visiting her oldest daughter at college (ISU). Holly is an active member of Westridge Community Church. Understanding the importance of giving back to her local community, Holly volunteers her time to church and fostering dogs with Hoof, Woof & Meow Rescue, in Gilberts, IL.